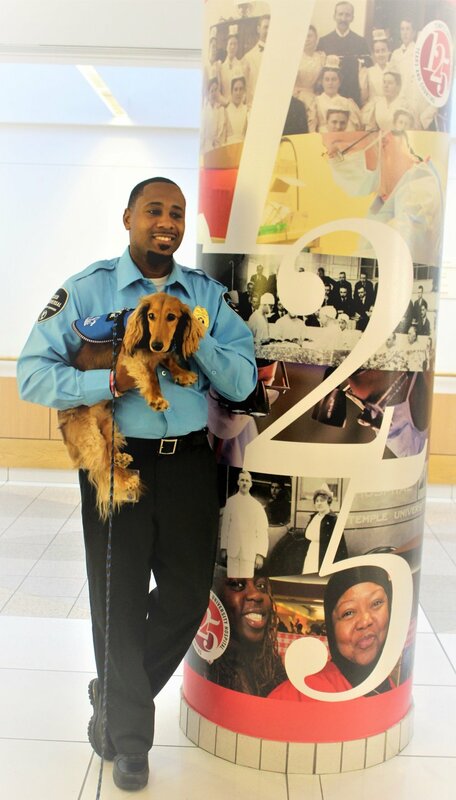 Comfort Caring Canines provided therapy dog visits to Temple University Hospital. 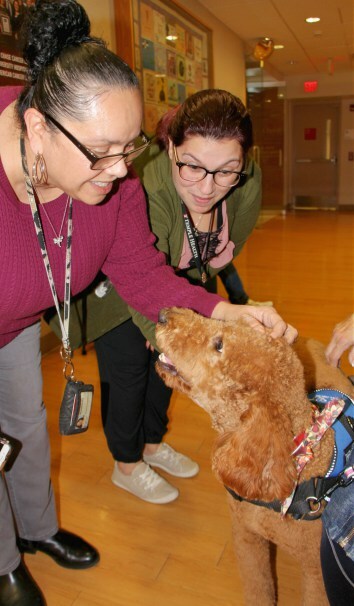 What makes this visit special is it was the first time in 125 years that therapy dogs walked the halls. We made history! 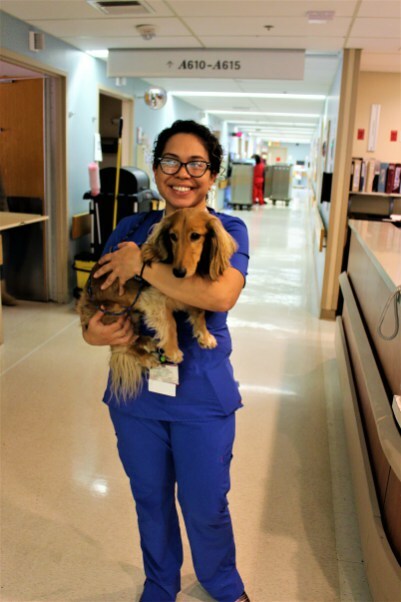 The staff at Temple University were kind, welcoming and very excited to share the dogs with patients who had been anxiously awaiting our arrival. The four teams on site for the program’s launch visited pulmonary, oncology, and ophthalmology units. As you can imagine, they saw many people and covered a lot of ground within the hospital. 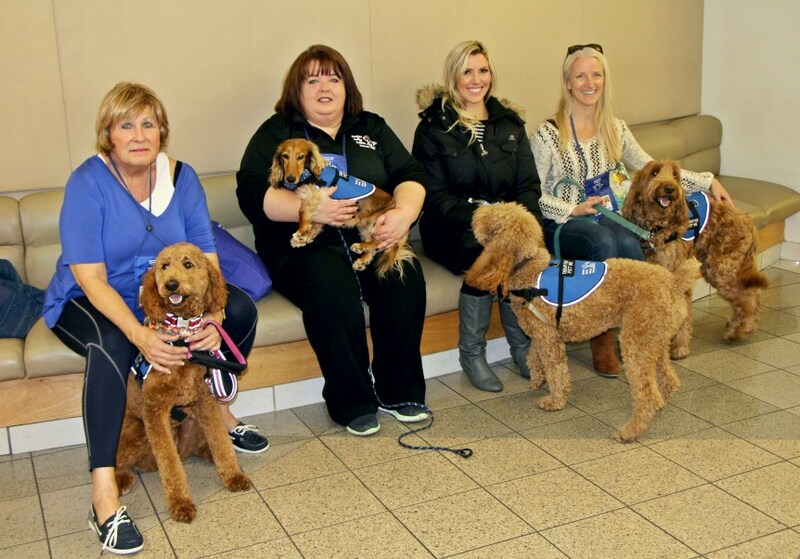 We’d like to thank Temple University Hospital for implementing this program and for inviting Comfort Caring Canines to be a part of it. In addition, thank you to our volunteers who were able to bring joy to so many, Christine Pluta with Moby, Maddie Hashemi with Rudy, Jean Slover with Libby and Alicia Harantschuk with Dillon.